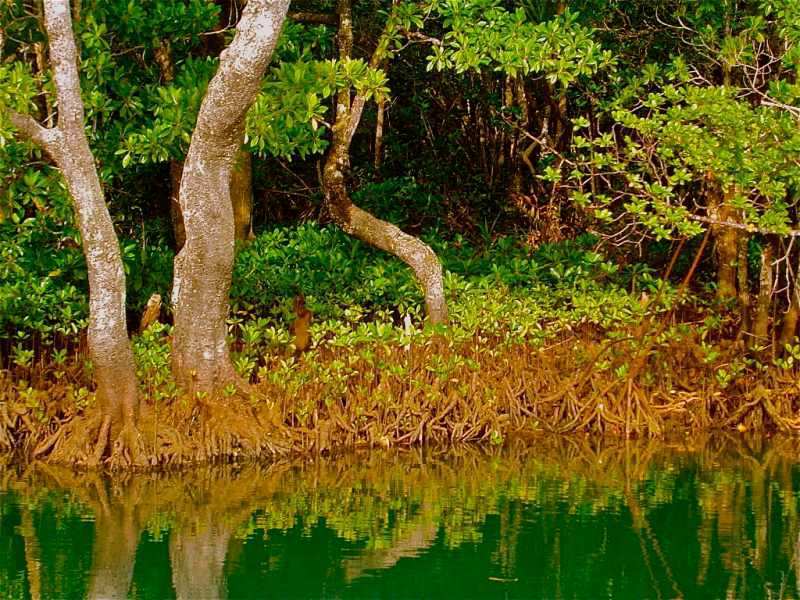 Mangroves of the Genus Bruguiera are one of the principal genera of trees of mangrove forests, having roots with erect pneumatophores and a trunk without stilt roots. They are viviparous. There are 6 species, occurring in the tropics from E. Africa to Polynesia. Fiji has only one species of Black Mangrove – the Large-Leafed Mangrove.